Nausea and vomiting are not diseases, these are symptoms of an underlying illness or condition. At one point or another, you might have experienced this, but if you are not medically inclined, you may not know the difference between the two. Often times, nausea and vomiting are related to each other. Usually, you may feel nauseous first before you vomit, but this is not always the case. You may feel the urge to vomit, but for some reason you just can’t and in some instances, you may vomit even without the feeling of nausea prior to that. More or less, you have picked an idea about the difference between the two from the previous statements. To make things clearer, below are detailed discussions about nausea and vomiting. Nausea came from the Greek word ‘nausia’ which means motion sickness. It is the feeling of discomfort, with the inclination or the urge to vomit. Nausea can lead to vomiting, but it is not always true. A person can suffer from this without manifesting vomiting. Most of the time nausea is felt by people who are undergoing chemotherapy. It is also widely termed as “stomach flu” (for people who are infected with viral gastroenteritis) or “morning sickness” (for women who are in their first trimester of pregnancy). In layman’s term, vomiting is “throwing up” or ”puking”. When certain conditions occur, the stomach muscles contract and push its contents out through the mouth. Sometimes it can be very forceful, thus the term projectile vomiting emerged. Bear in mind that a person who is vomiting may or may not feel nauseated. 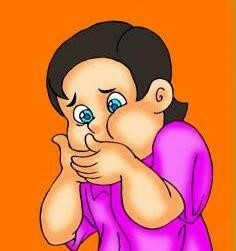 Retching is when an individual voluntarily tries to vomit, but unable to bring anything out from the stomach. Retching is also known as gagging or dry heaves. How Do Nausea and Vomiting Occur? The specifics about how nausea occurs are unknown, but when it comes to vomiting – physicians and anatomist conclude that it is controlled by the vomiting center. It is located in the medulla of the brain, and this structure is known as area postrema. Basically, this part of the brain detects the substances in the blood that are produced when a person is inflicted by certain diseases or conditions. These substances stimulate the area postrema, which triggers the reflex pathway and induces vomiting. What Causes of Nausea and Vomiting? Nausea and vomiting are usually harmless once they are controlled. The danger lies with the underlying conditions that cause them. Determining the root cause is much more important than treating the symptoms per se. Treat nausea and vomiting as indications of a bigger disease or condition, and by rendering the proper treatment, the said symptoms will be alleviated. As what was mentioned, vomiting is harmless- if and only if it is controlled. 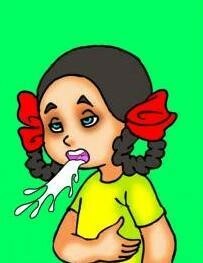 Uncontrolled vomiting associated with diarrhea can be very detrimental, especially in children and old aged people. They are prone to dehydration that can lead to hypovolemia and worse, hypovolemic shock. Jade Sison. "The Difference between Nausea and Vomiting." DifferenceBetween.net. May 13, 2015 < http://www.differencebetween.net/science/health/the-difference-between-nausea-and-vomiting/ >.